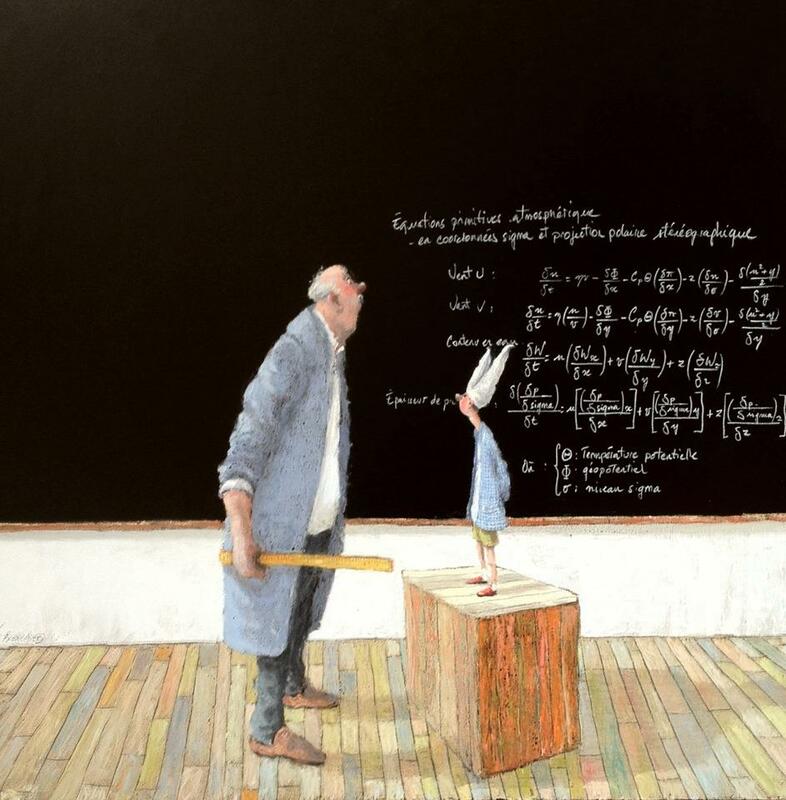 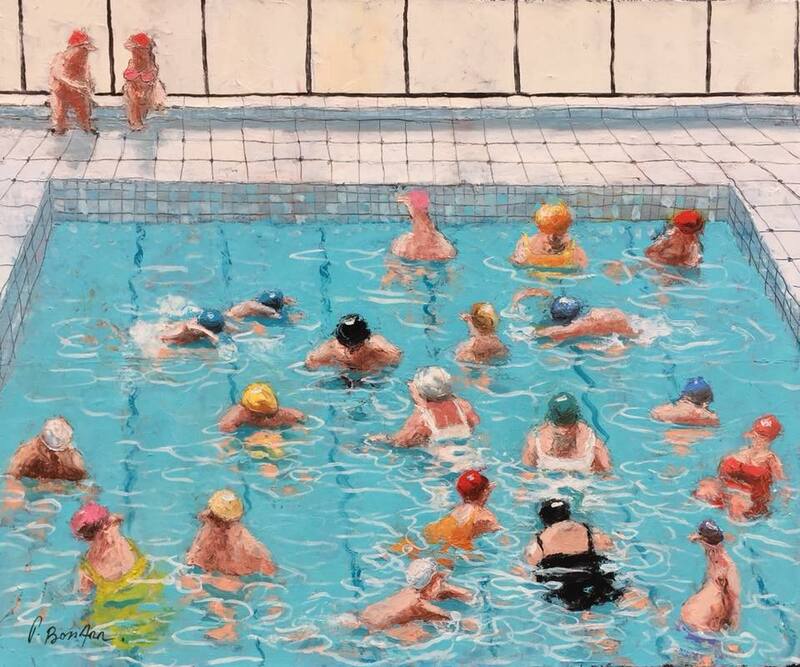 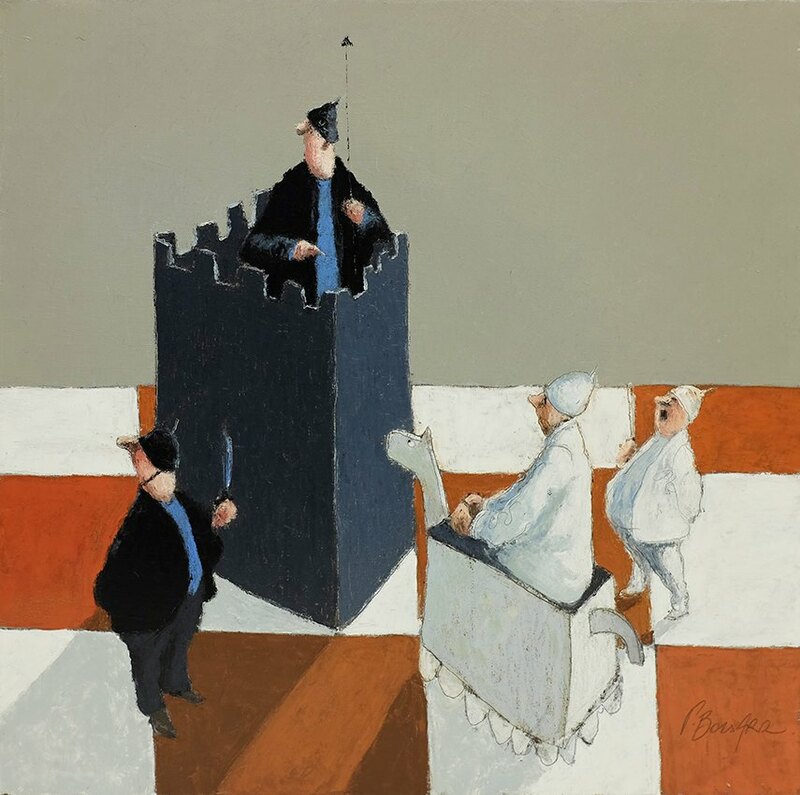 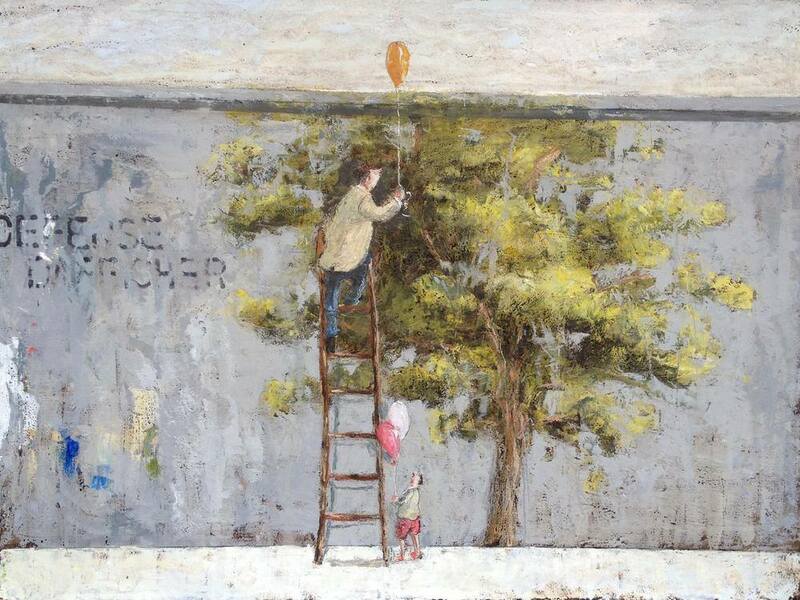 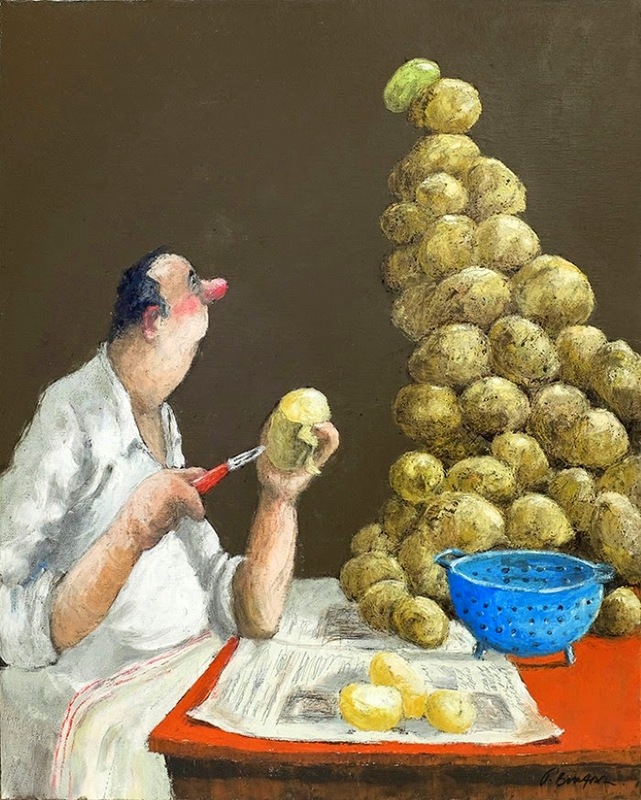 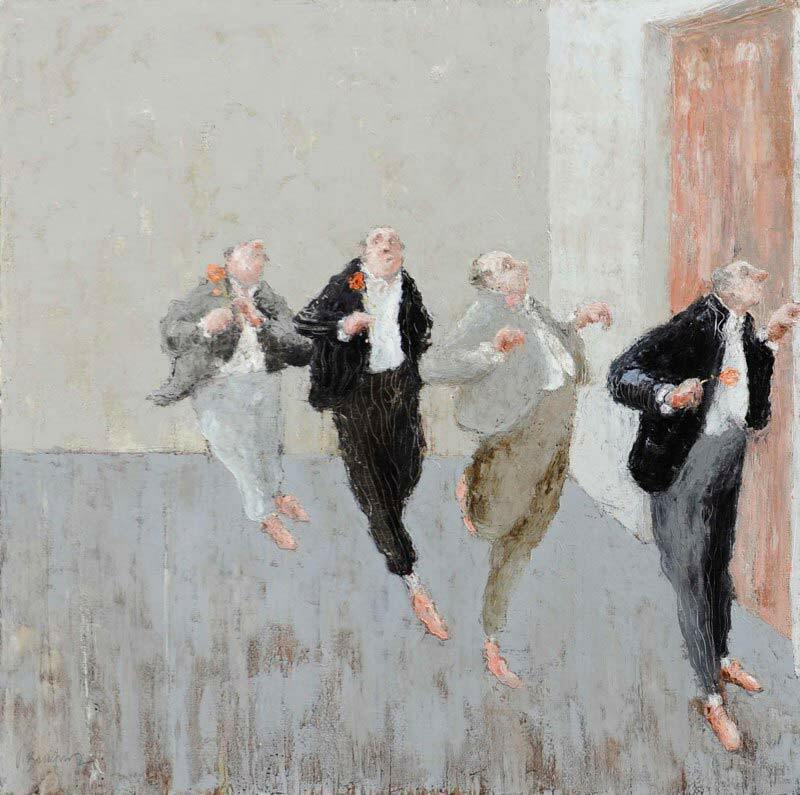 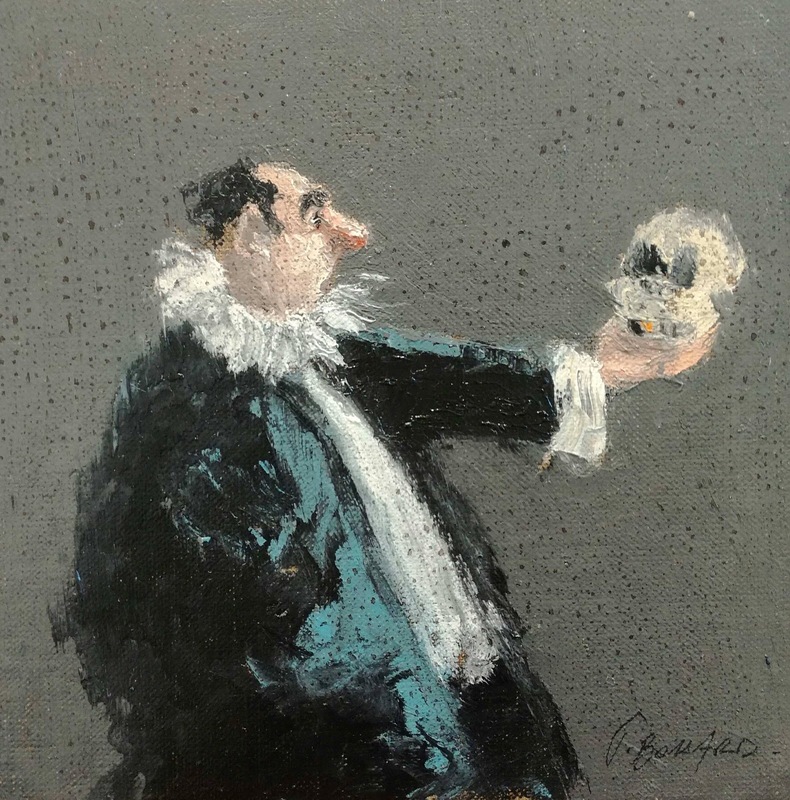 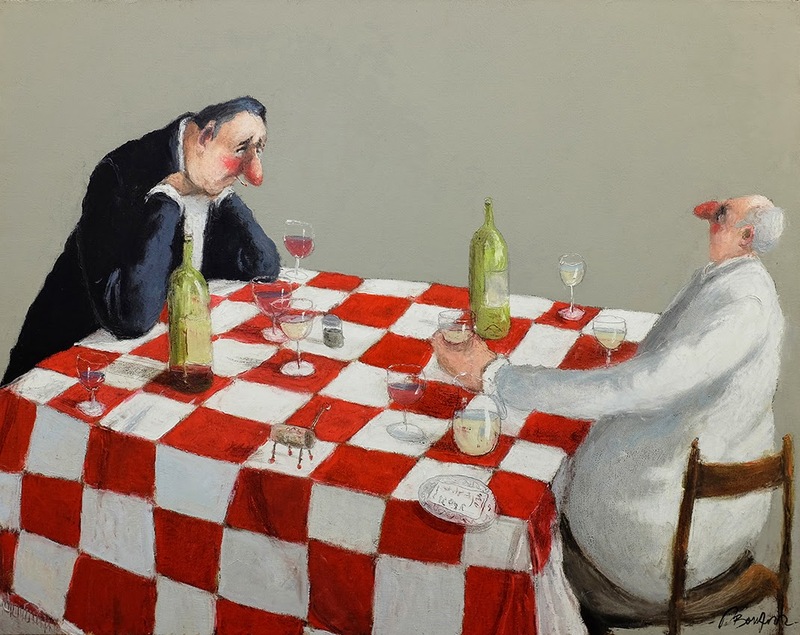 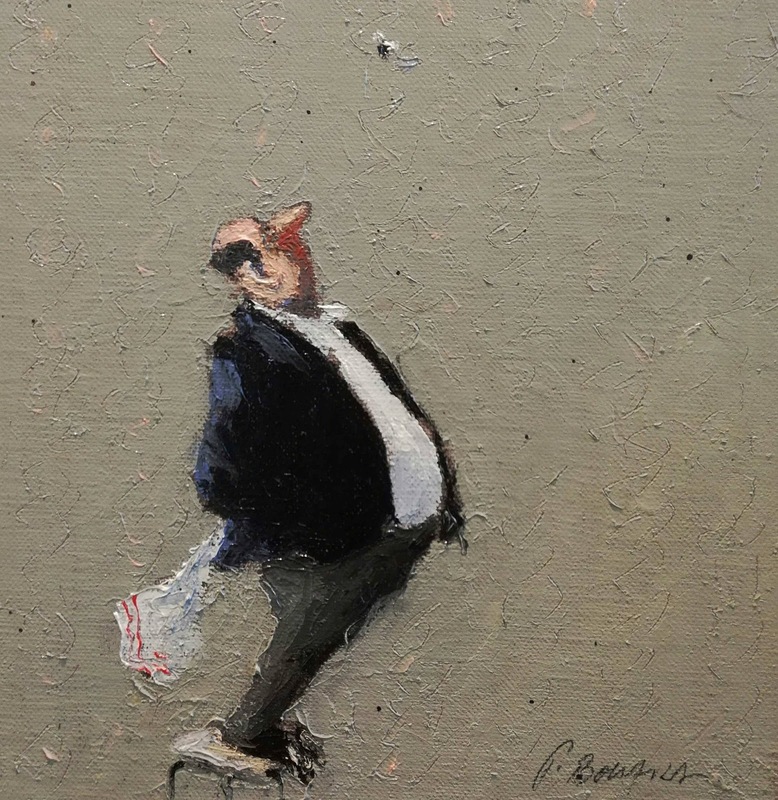 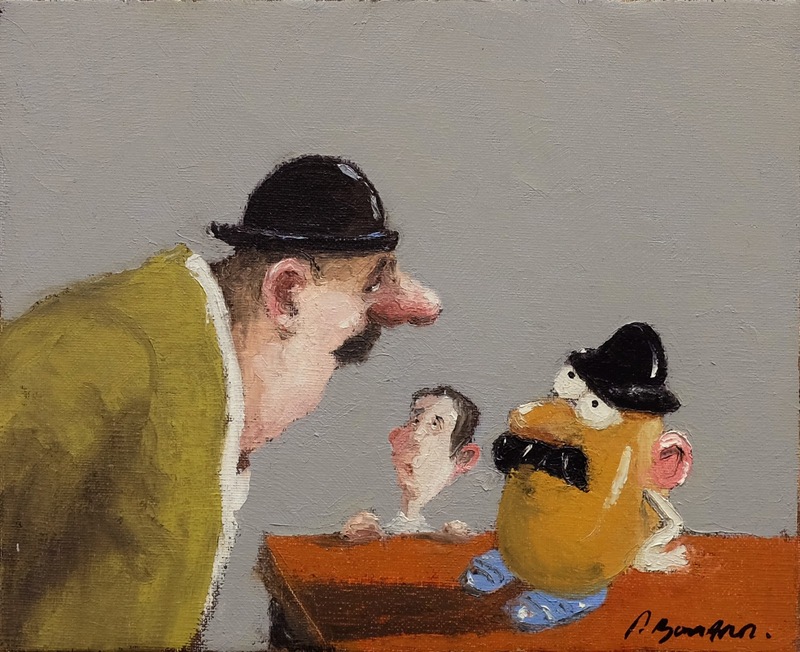 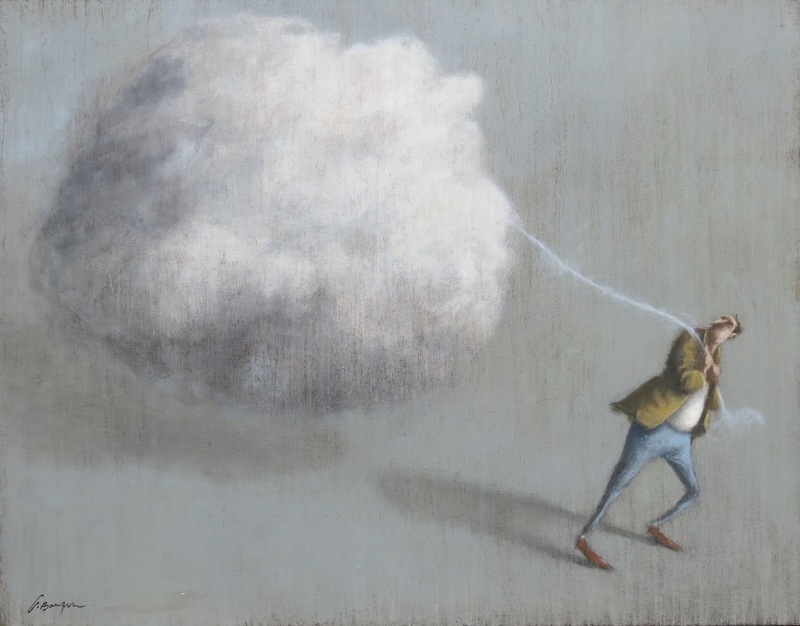 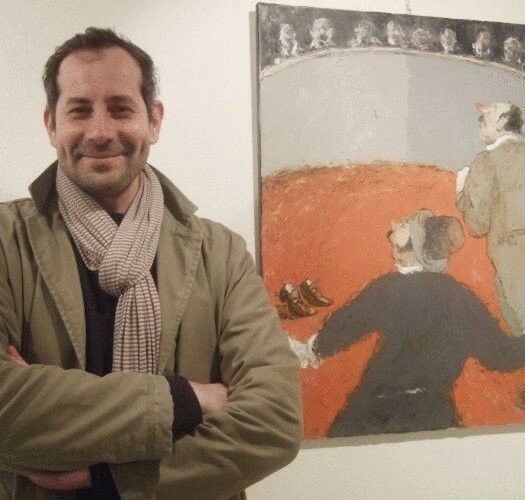 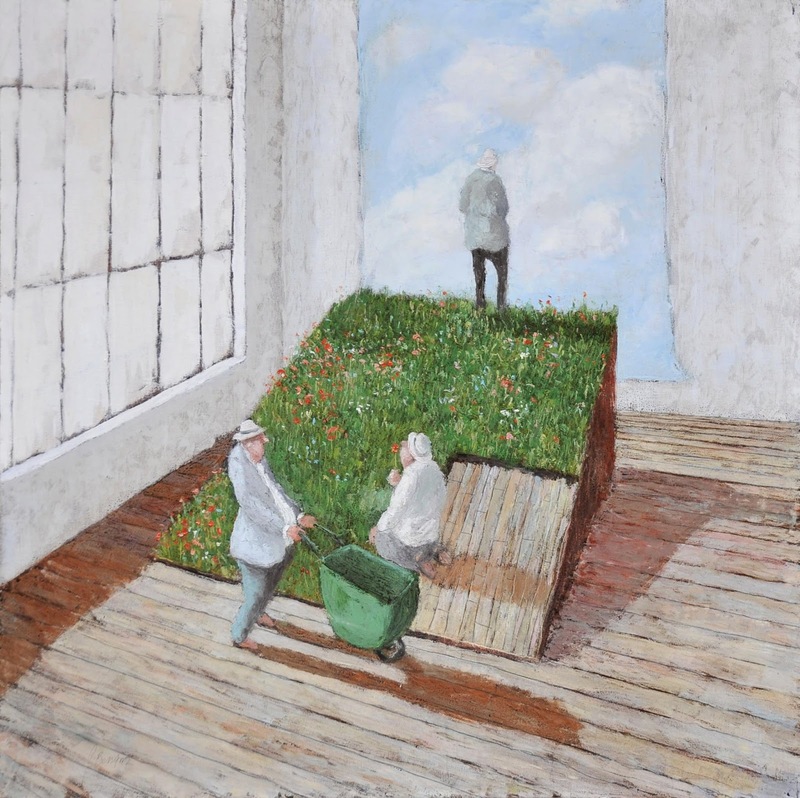 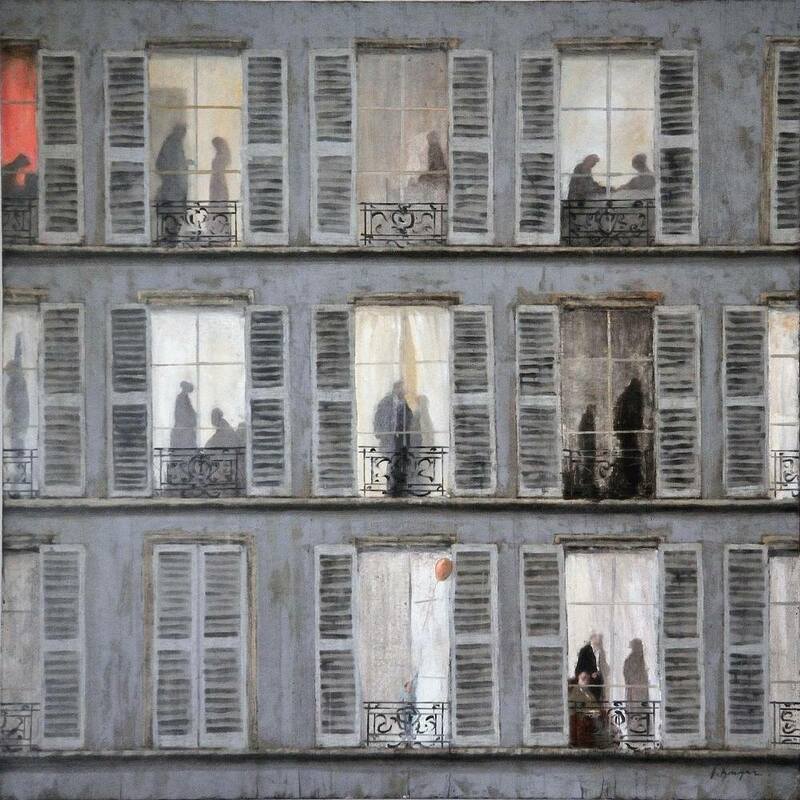 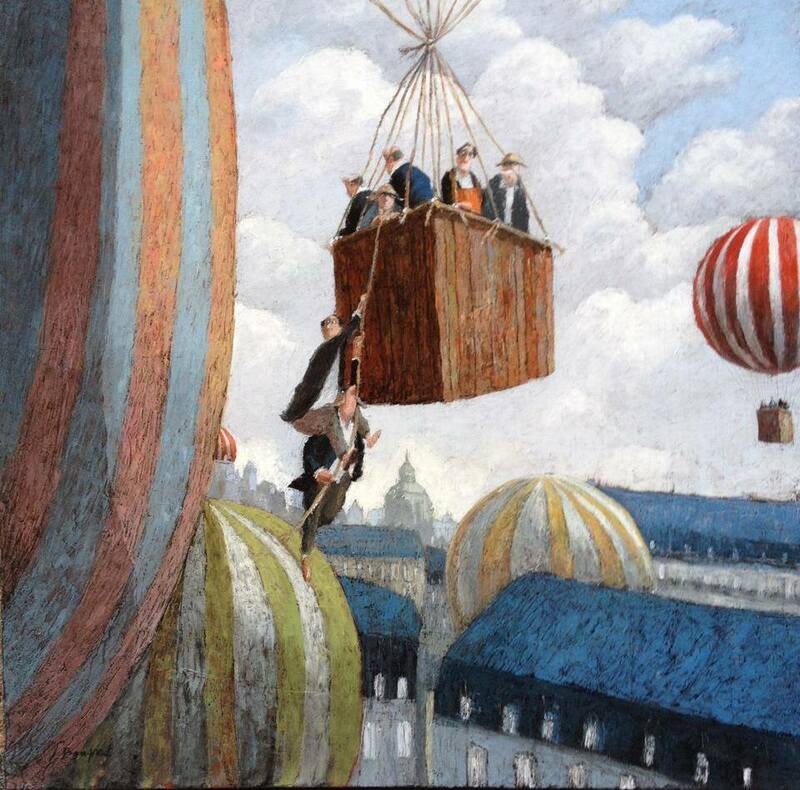 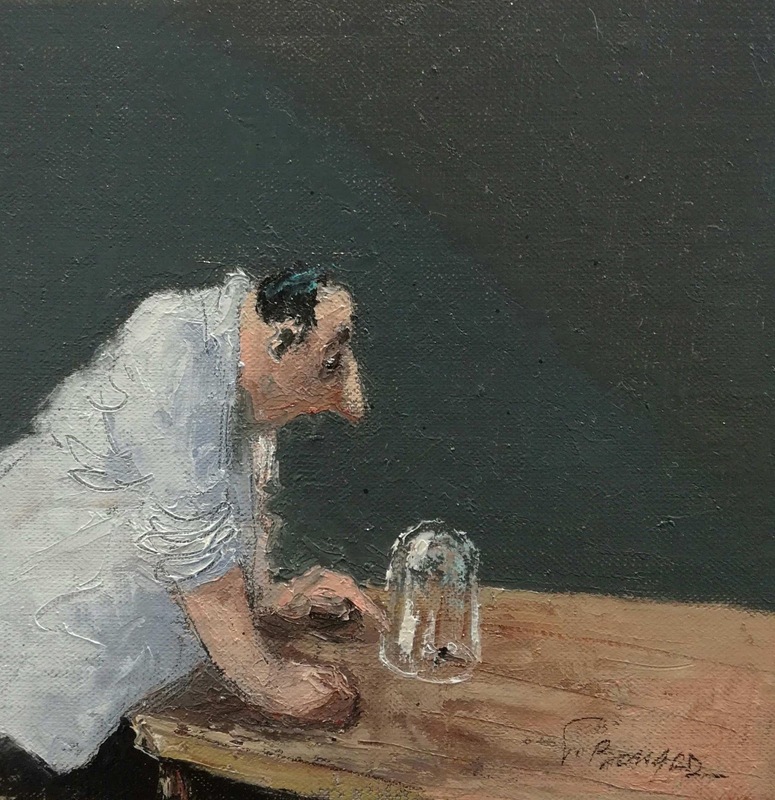 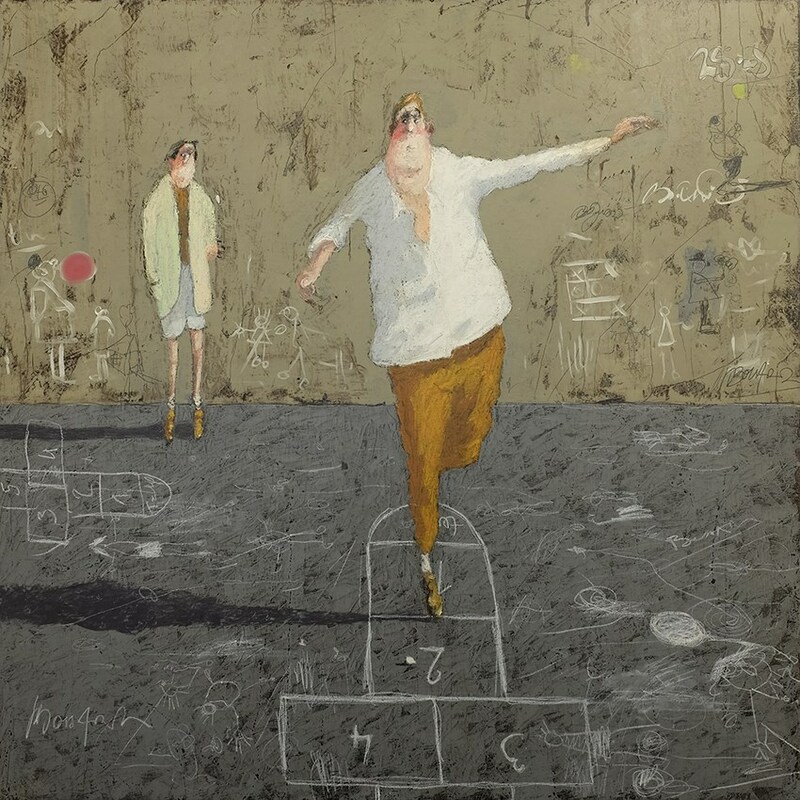 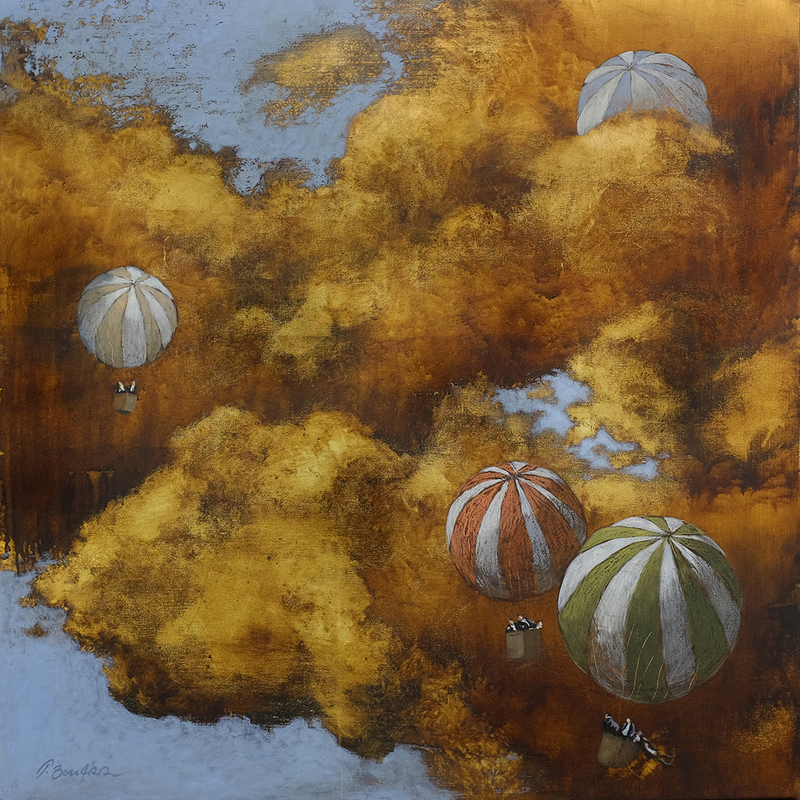 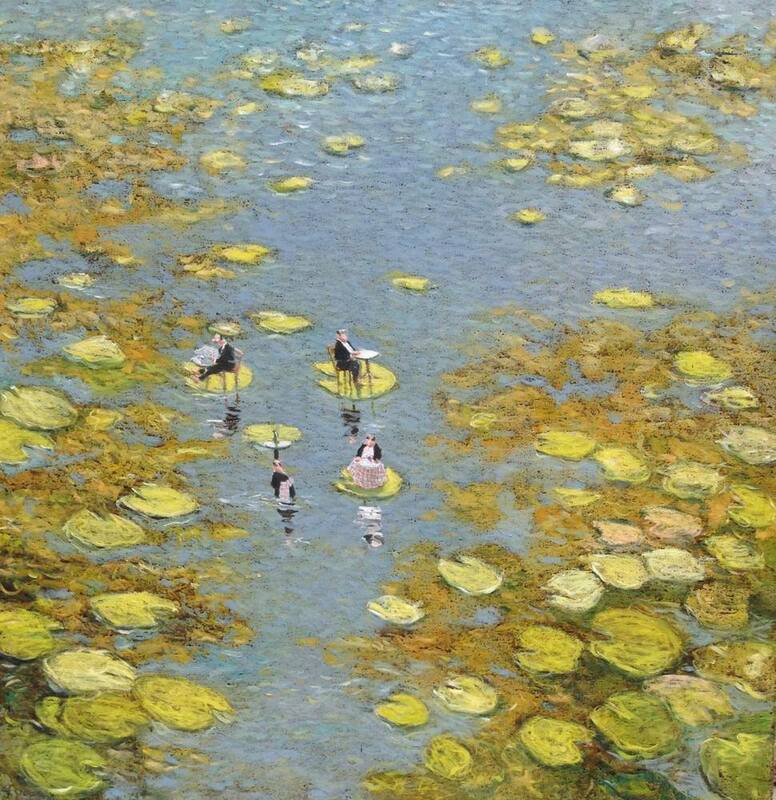 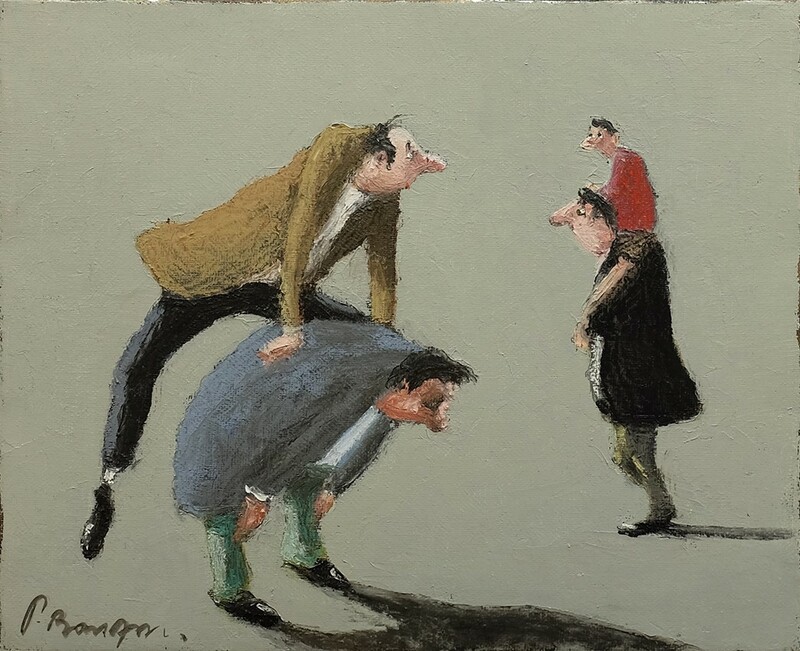 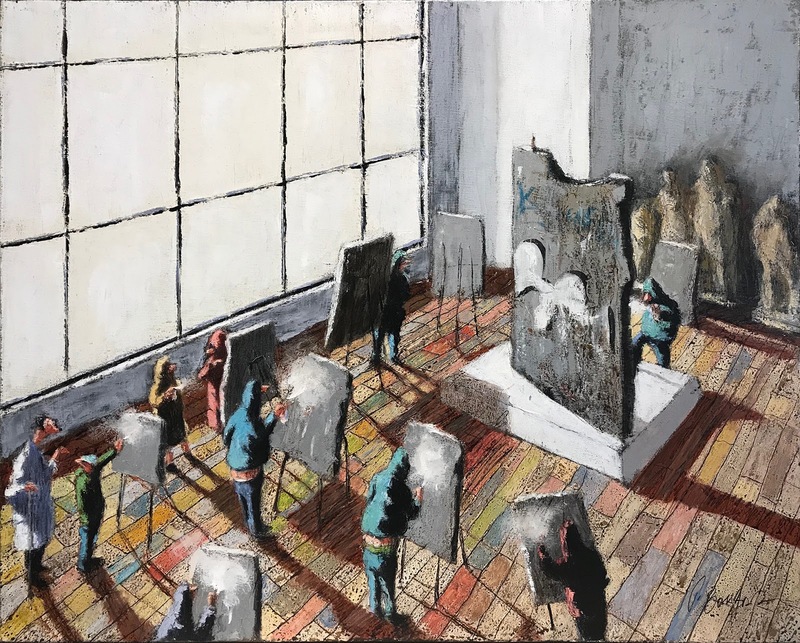 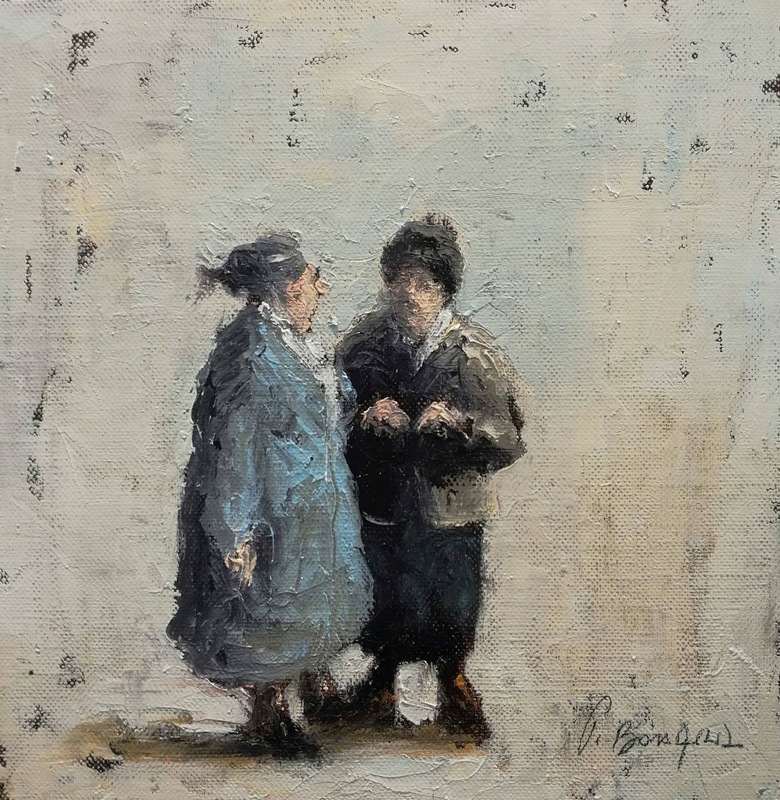 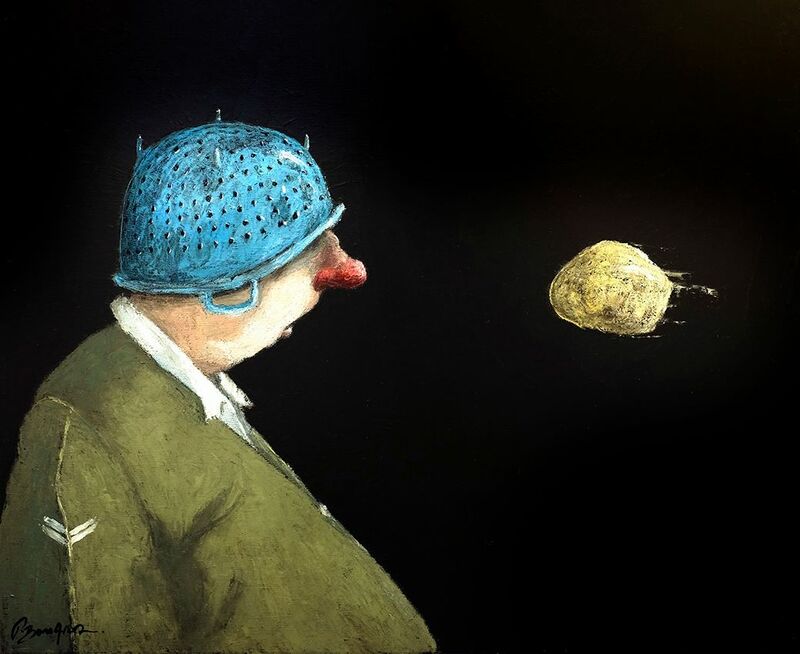 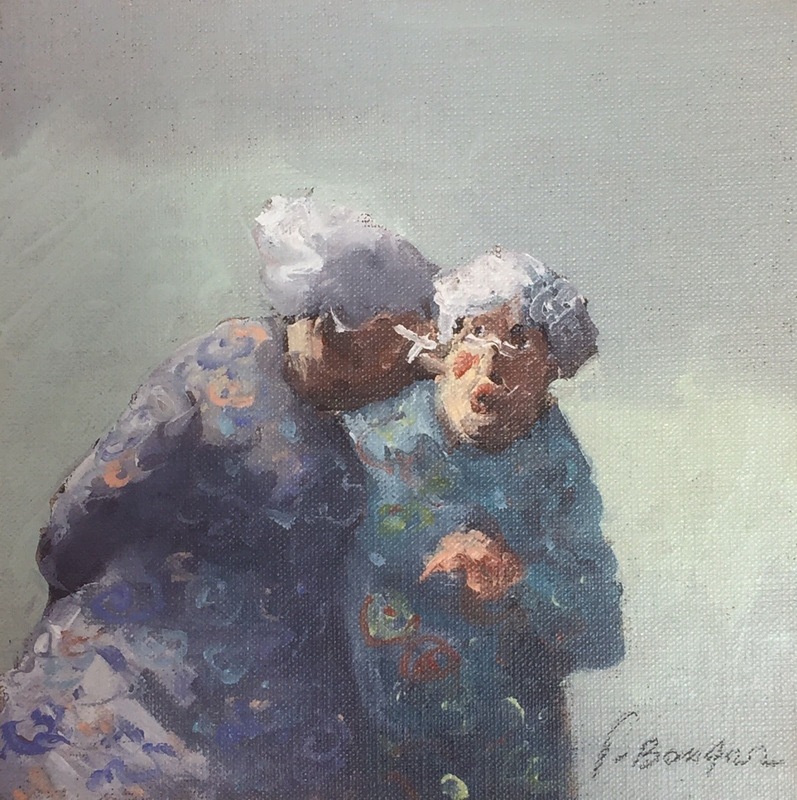 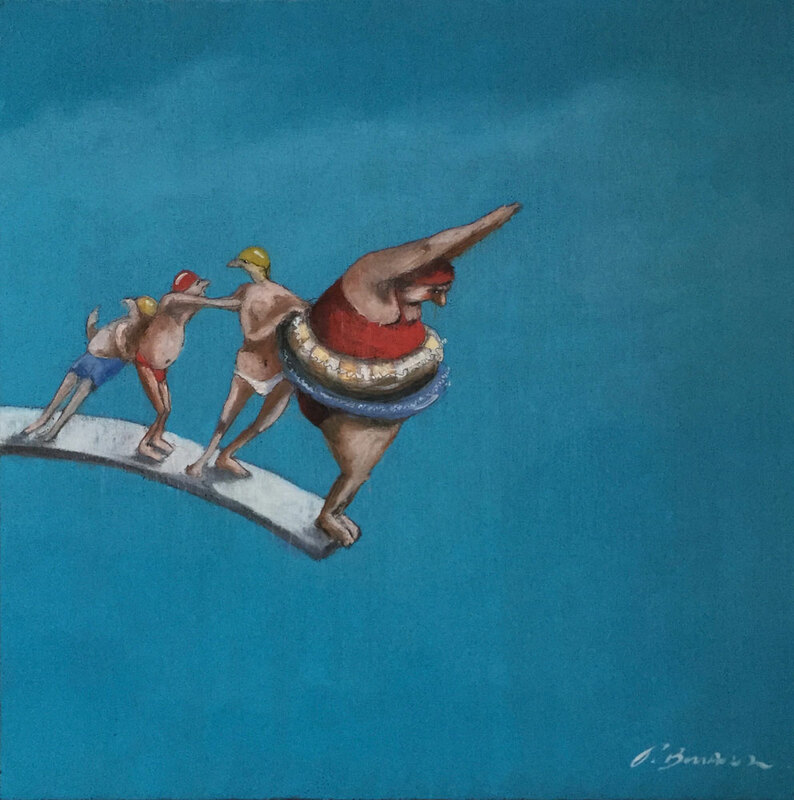 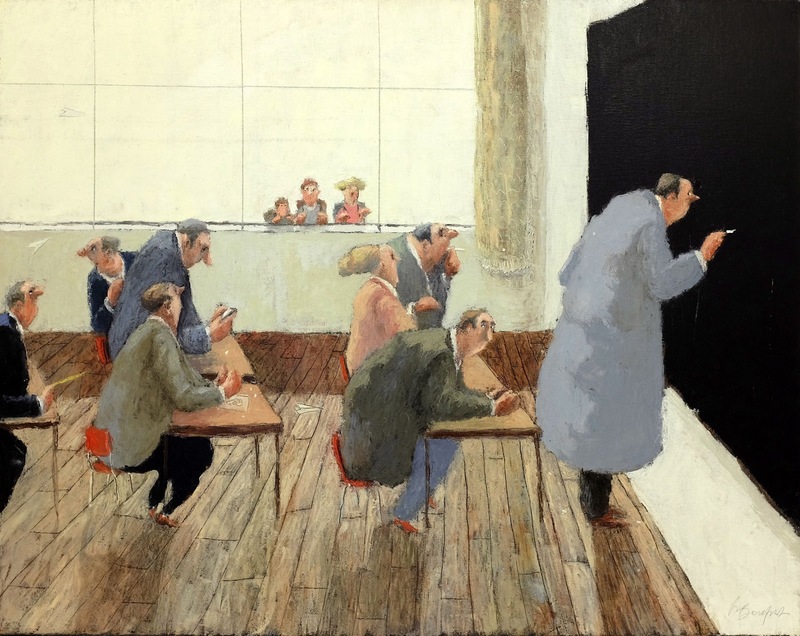 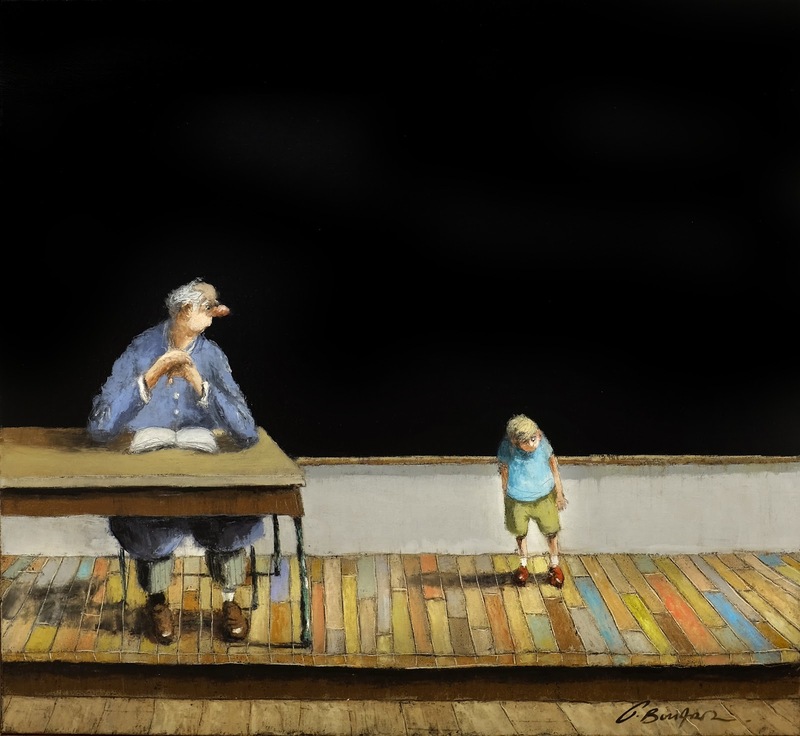 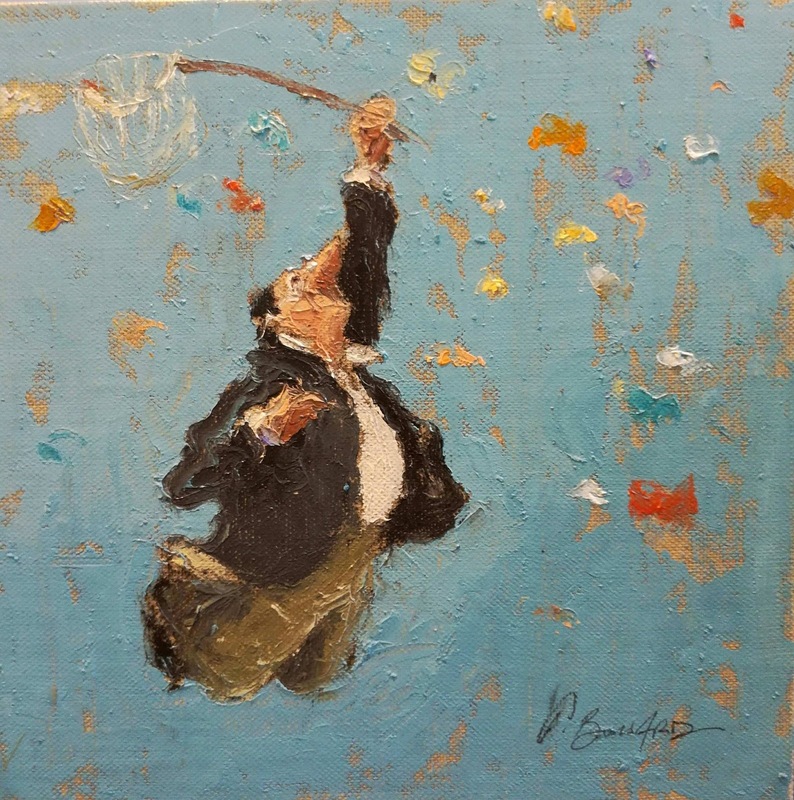 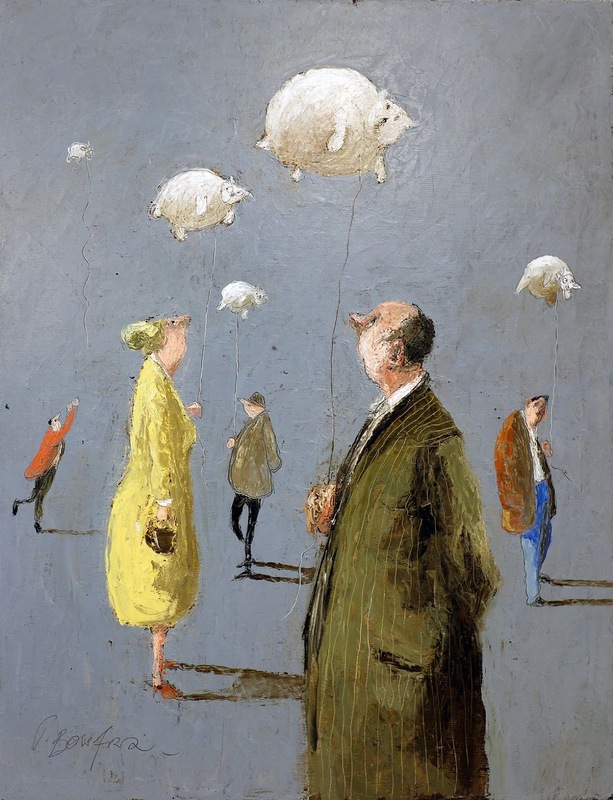 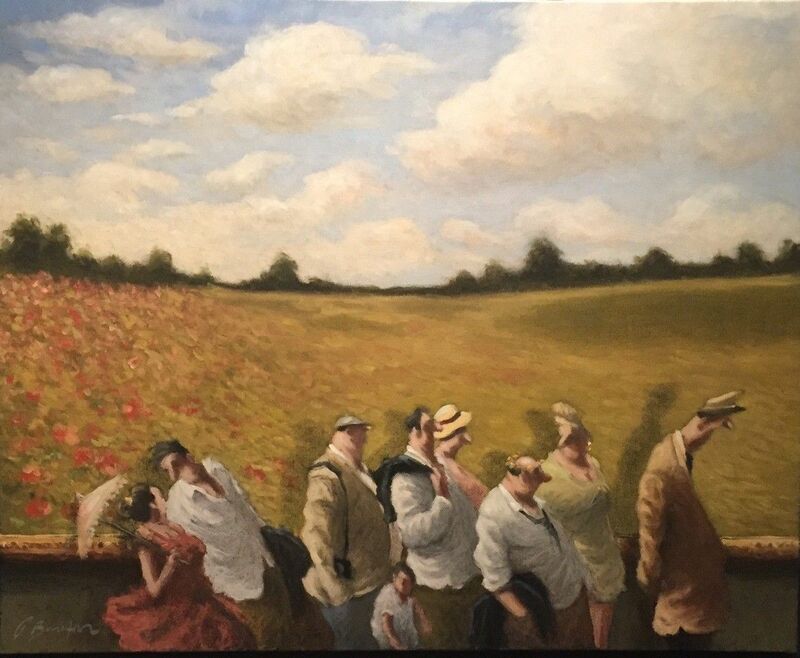 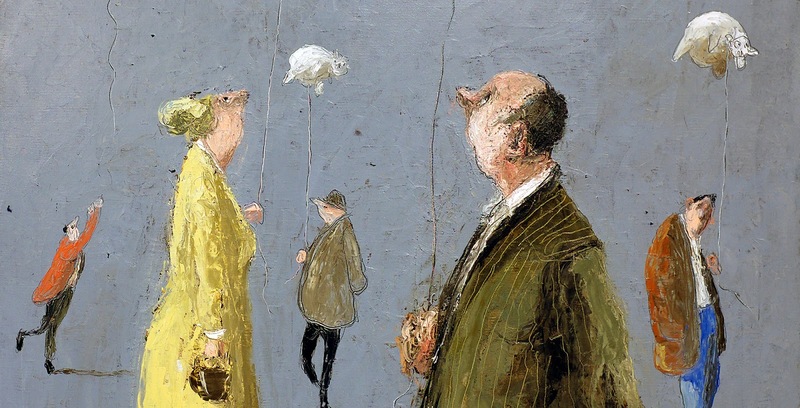 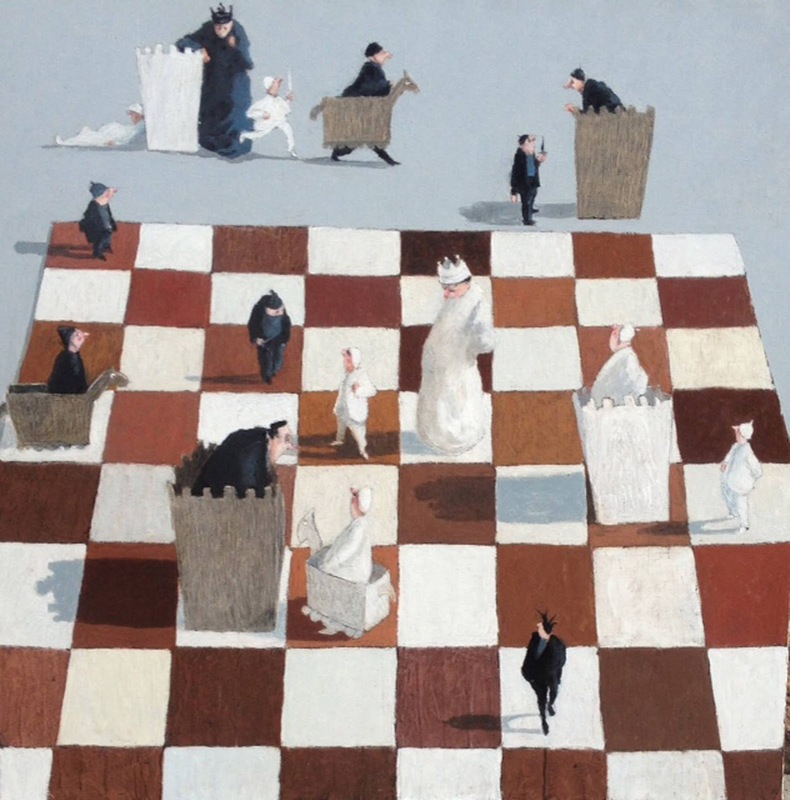 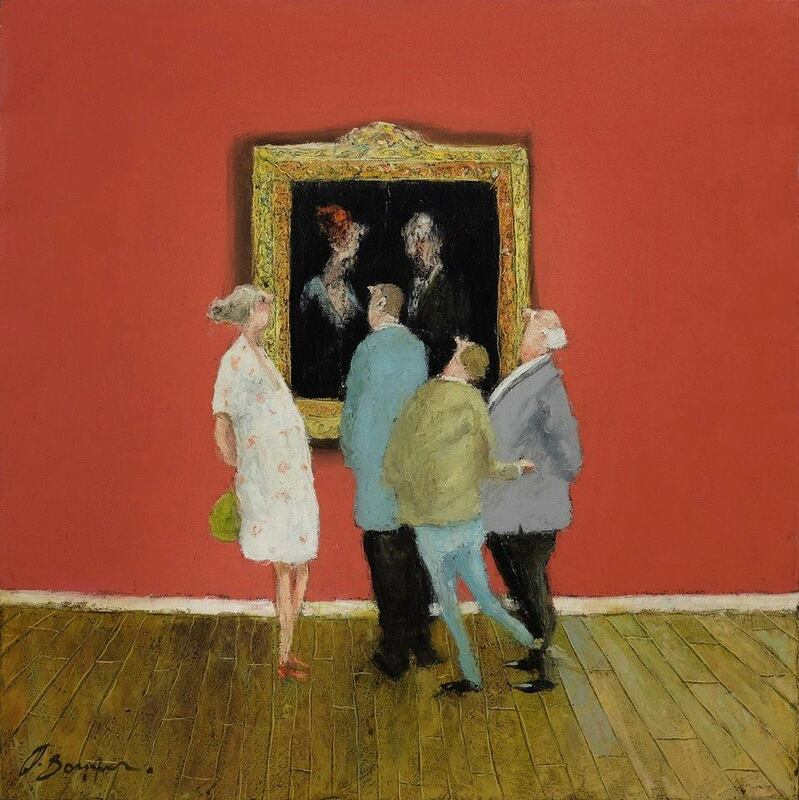 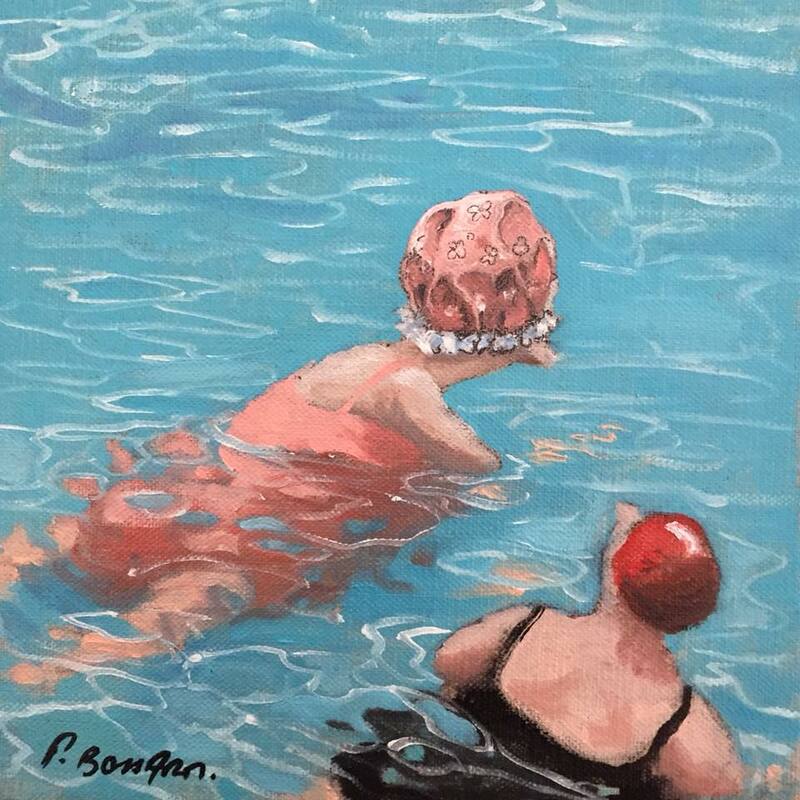 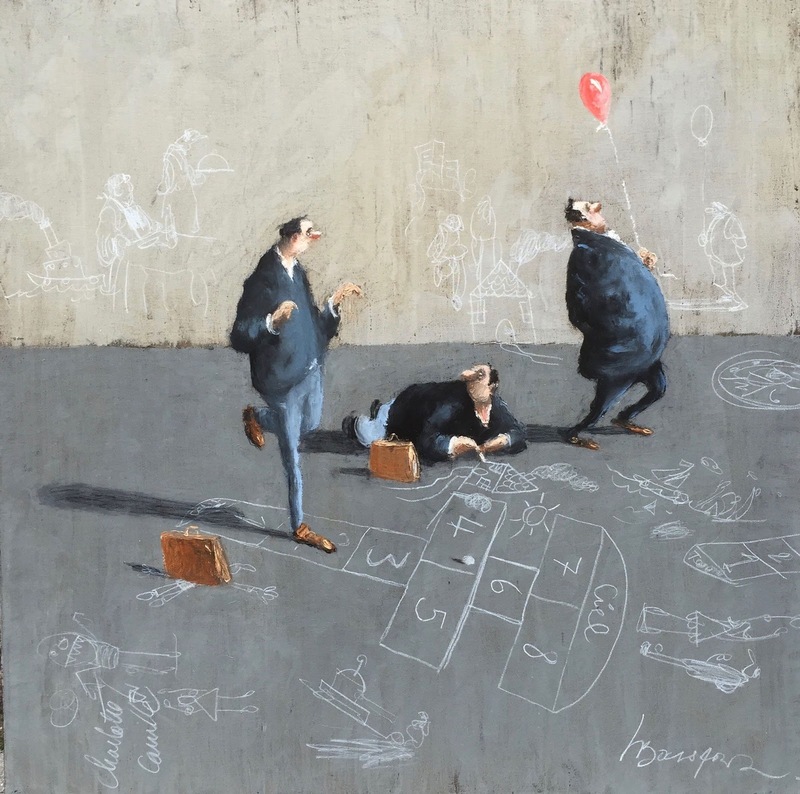 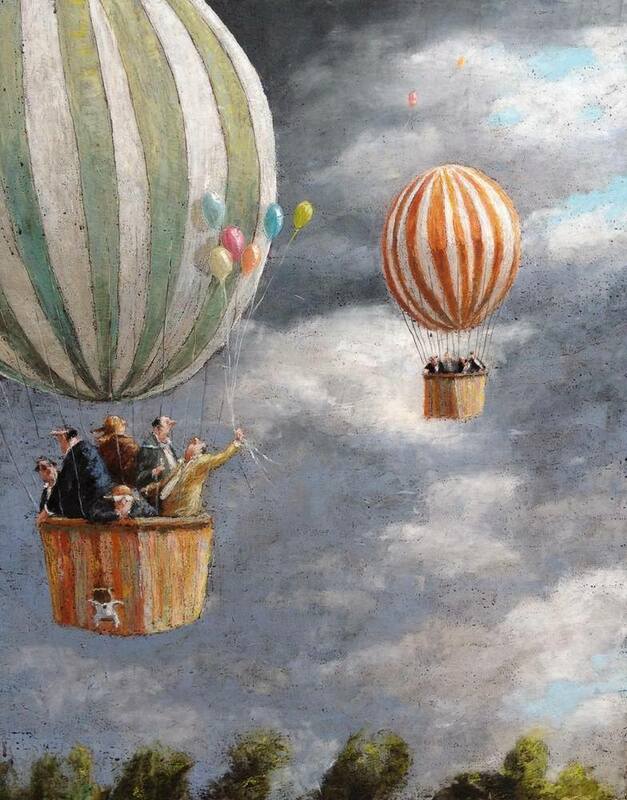 Thomas Bossard, Painter in oil, born in Poitiers, France, studied art at Saint Luc School, Belgium. 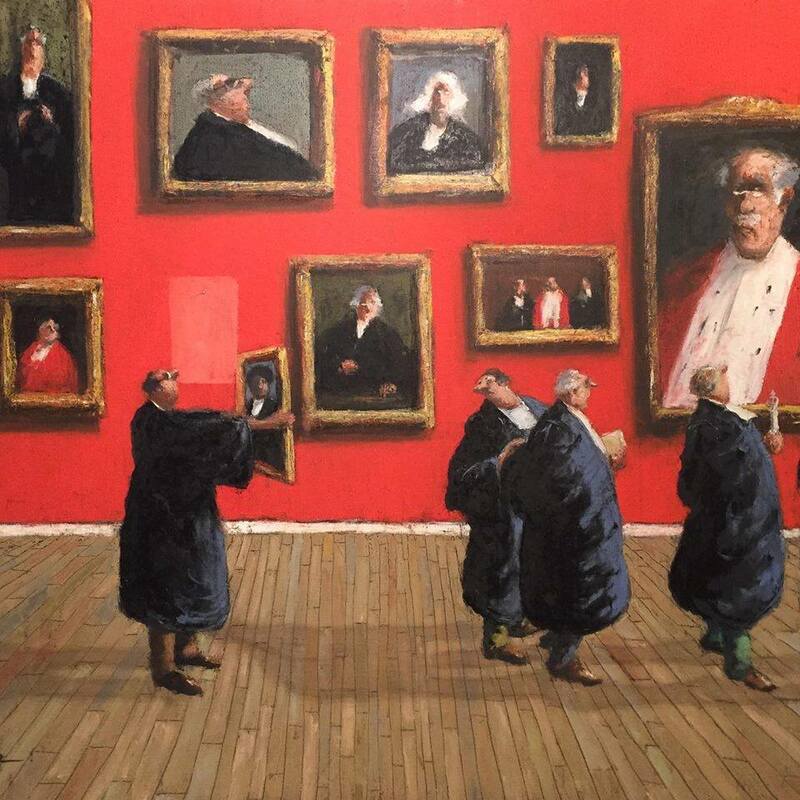 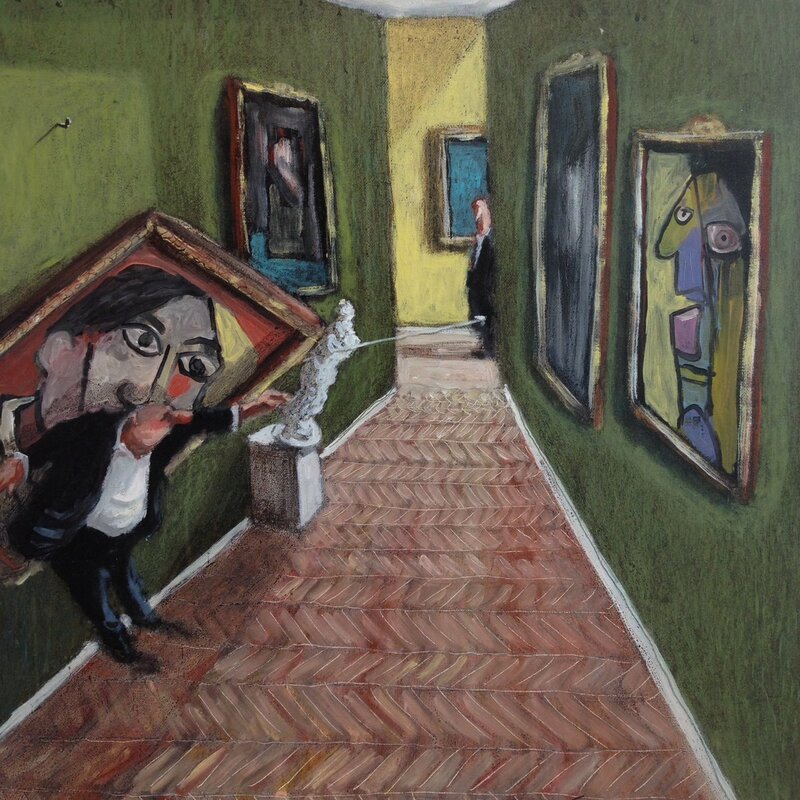 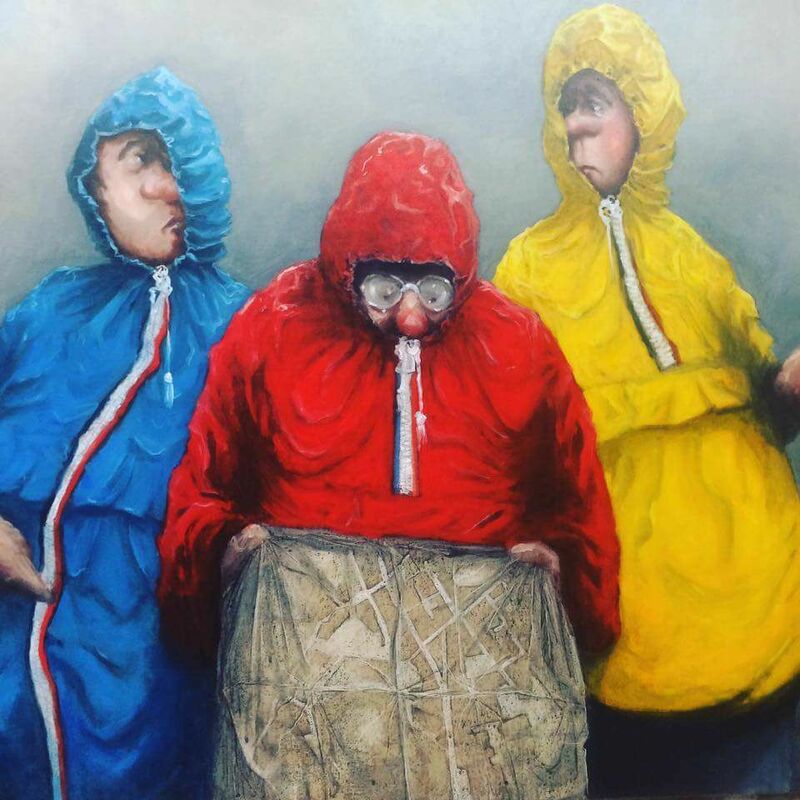 His paintings of the theatre portray the humour and comical life behind the scenes and his large canvas’s show the insignificance of man. 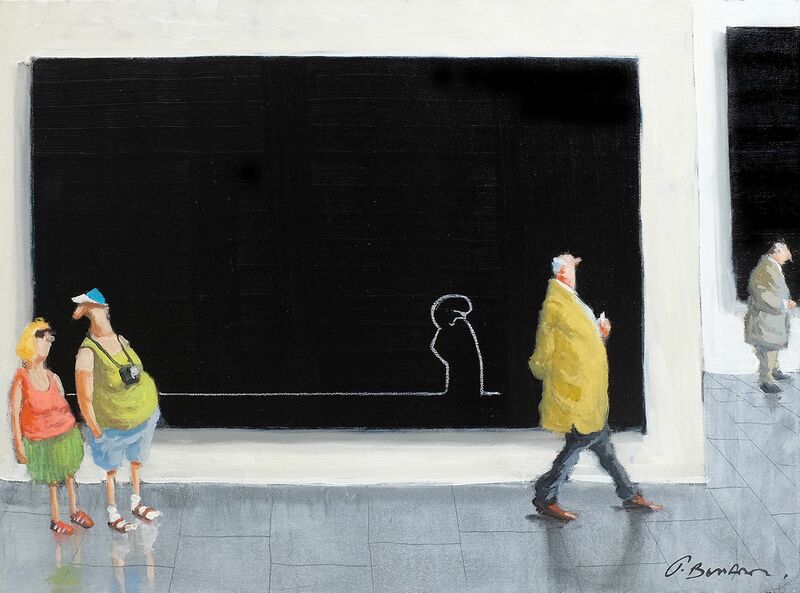 This young artist has a very deep understanding of human nature. 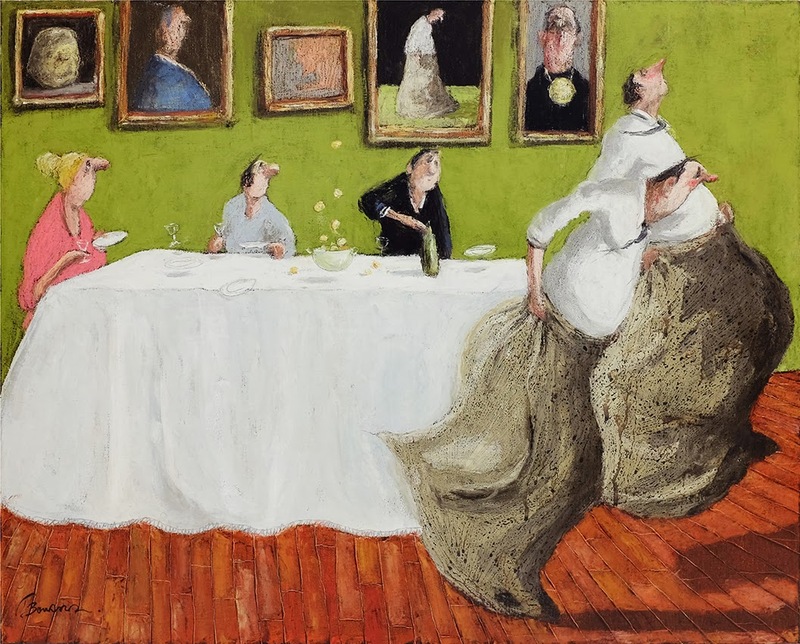 Prior to becoming a professional artist Thomas worked with the theatre, creating and putting together stage sets for plays and opera, and he has also been a porcelain artist at Limoges (France). 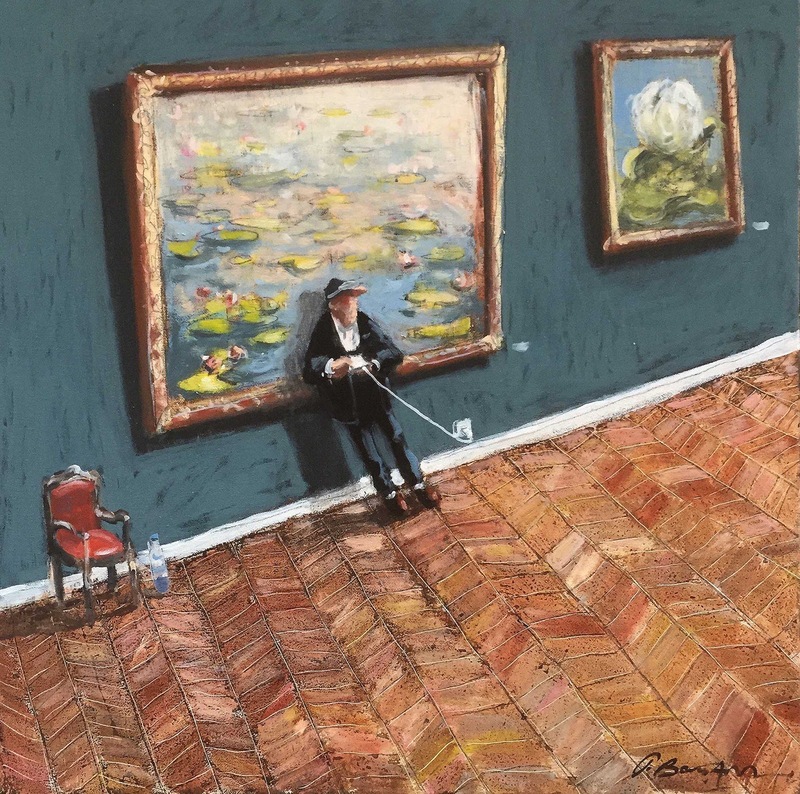 His work has been greatly influenced by artists such as Velasquez⏩, Vermeer⏭ and Rembrandt⏭. 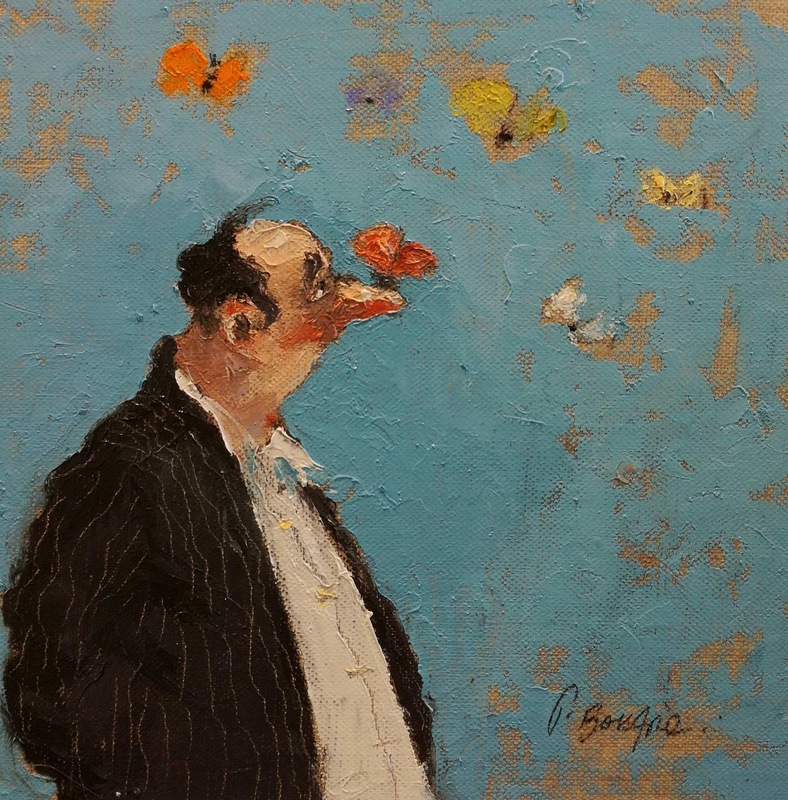 Thomas works long hours in his studio with just his music as company; he has a great love of classical music. 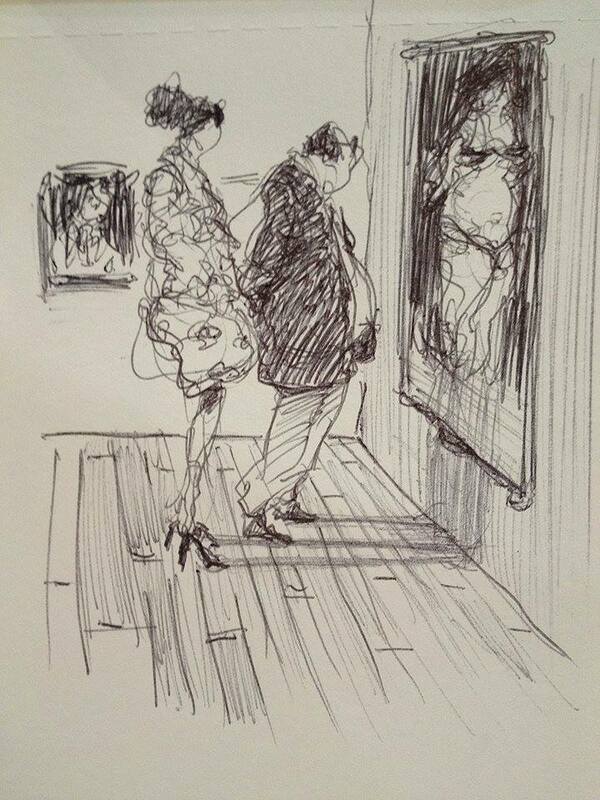 Exhibits Paris, Toulouse, and throughout France.UK, London, NEC Birmingham, Cambridge, Edinburgh.